Hey Lovelies! We are so excited spring is on it’s way and Easter is almost here! 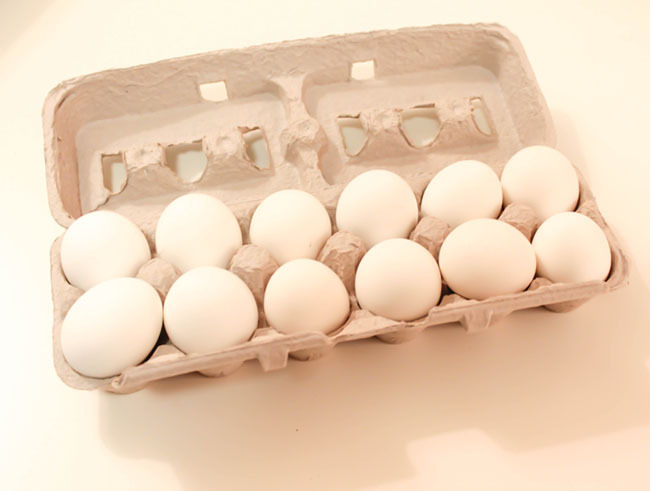 We have so many fun Easter ideas for you this year and are excited to share them with you. 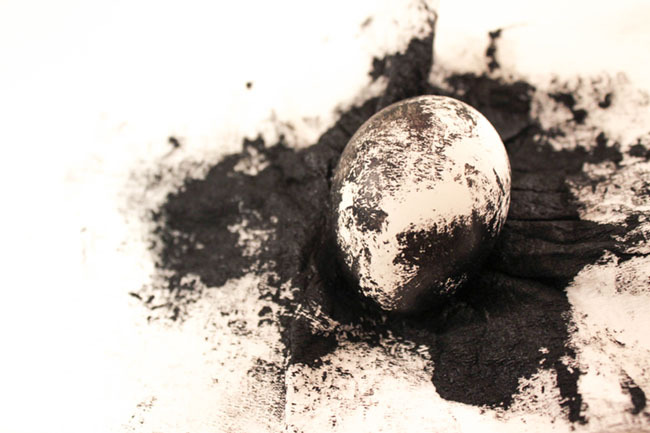 We have a special post for you today because it’s part of Evite‘s Easter Blog Hop! 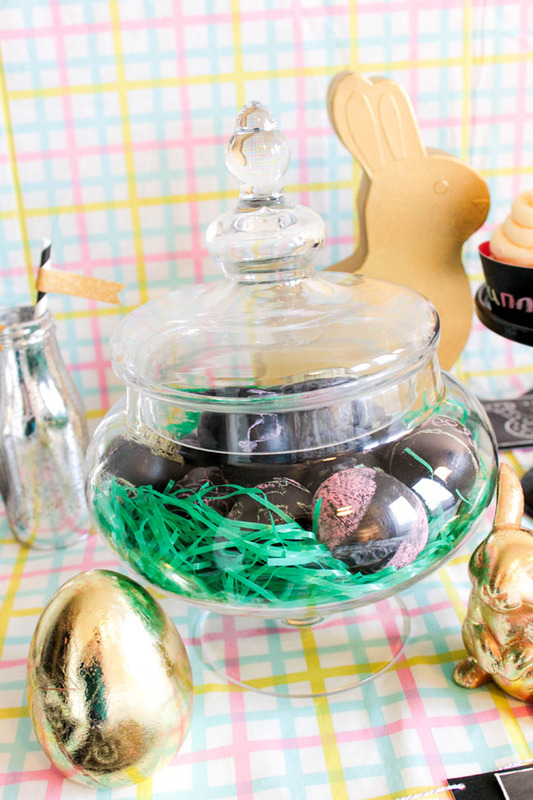 Get ready for some fabulous low budget Easter ideas because there are lots of bloggers that are going to give you all sorts of Easter inspiration! If you are already on the blog hop trail, thanks for stopping by from Grey Grey Designs! Evite challenged us to come up with an Easter idea for less than $35, inspired by one of their Easter Invitations. We choose this lovely chalkboard Easter invite because chalkboards are looking fabulous everywhere right now and they can look just as fun for Easter! 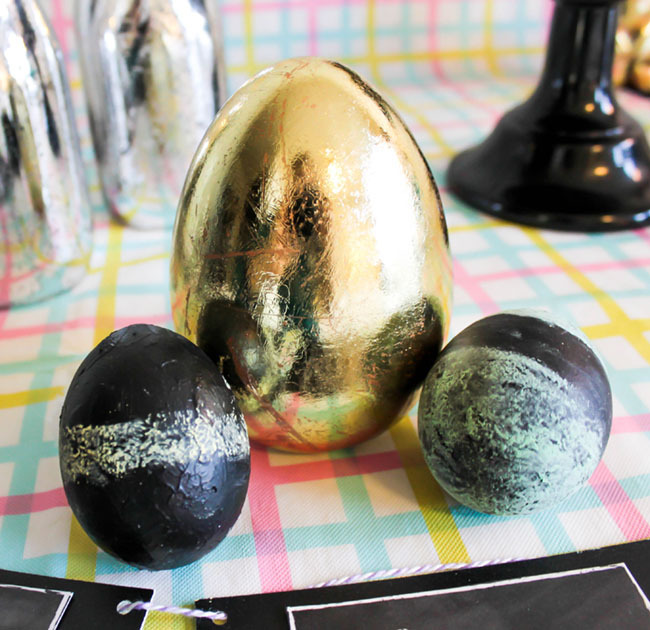 Today, we are going to show you how to make chalkboard Easter eggs and throw a little chalkboard Easter party for you too! Step 2: Get Your Chalkboard Paint Ready And Brush. 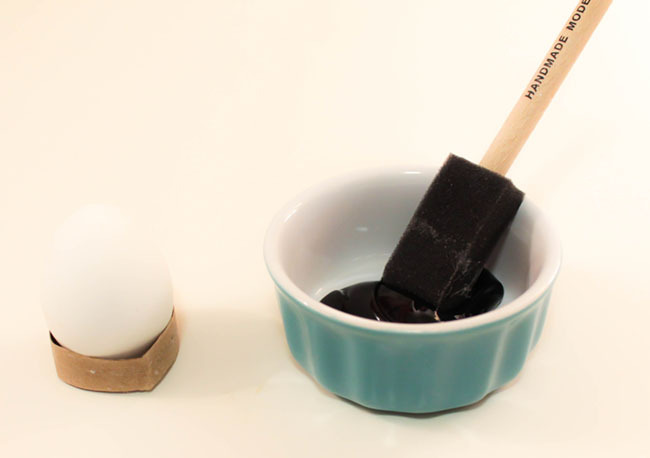 Make Little Holders For Your Eggs To Paint Them. Toilet paper Rolls Work Great For This! Alternate Step! 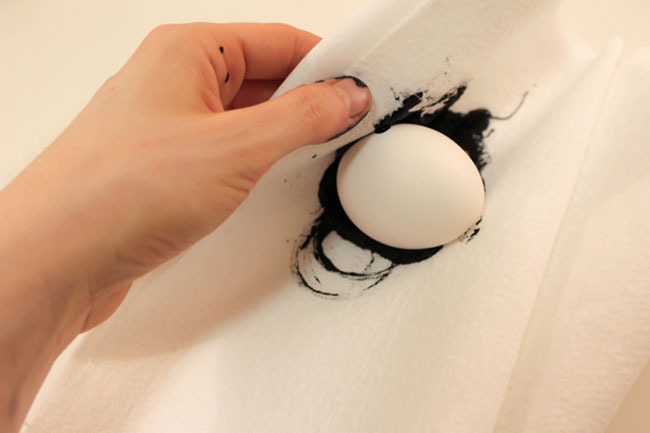 We Painted Some Eggs By Putting A Dab Of Paint In Some Paper Towels And Rolled The Egg Around in It. It Creates And Even Coverage Less Streaky Look. We Did A Mix Of Both Because Both Are A Unique Look! 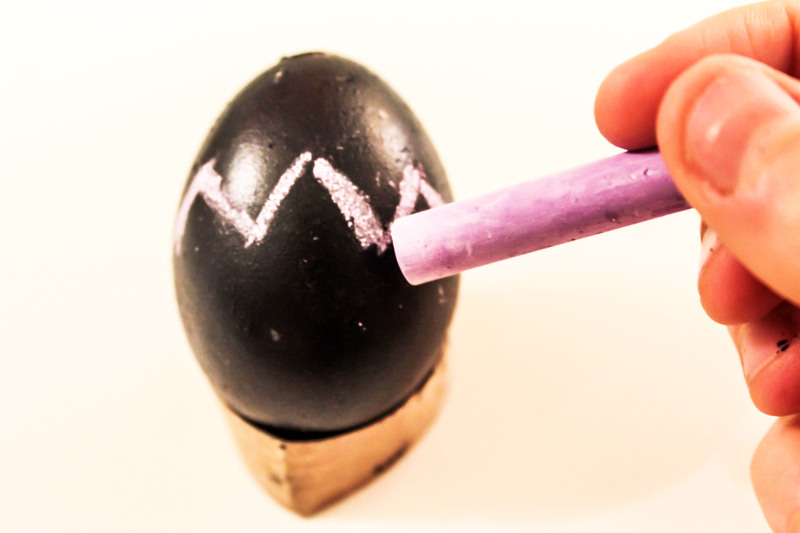 Step 4: After The Eggs Have Dried Completely, Get Your Creative Juices Flowing And Get To Chalking! The Sky Is The Limit With The Designs You Choose! Ta-DA! 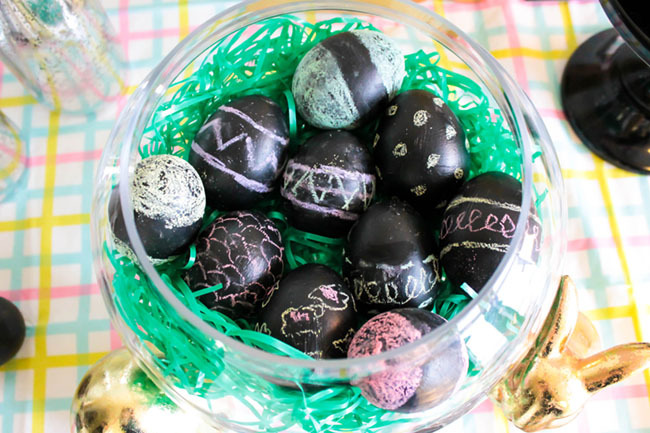 Look how cute chalkboard eggs can be! 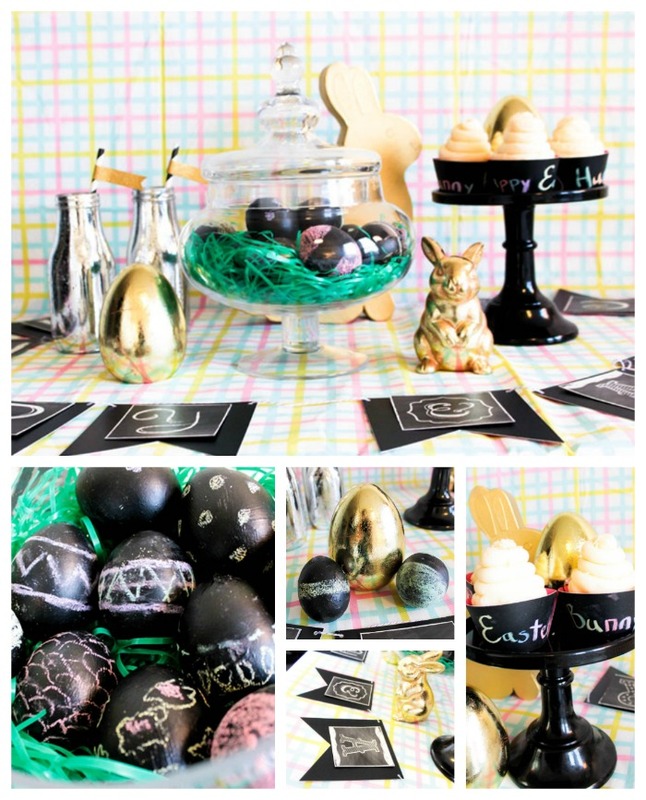 We are loving the chalkboard look for an Easter Party theme too. 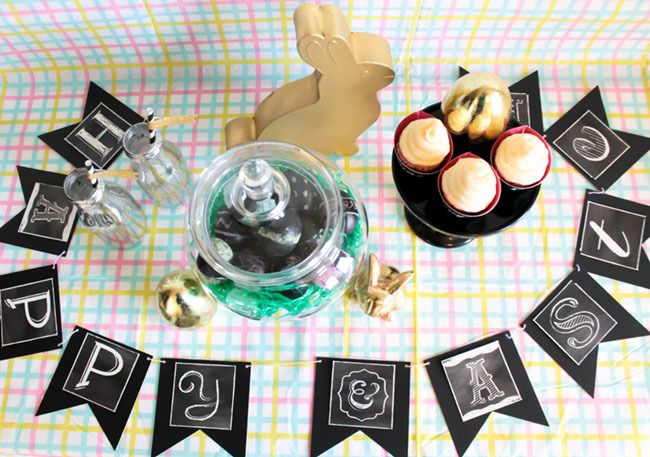 Add in a DIY chalkboard banner, some chalkboard cupcake wrappers and a few gold touches and you can recreate this lovely Easter Party look! We found the fabulous gold Easter egg decorations and bunny as well as the Easter plaid tablecloth at Jo-Ann. 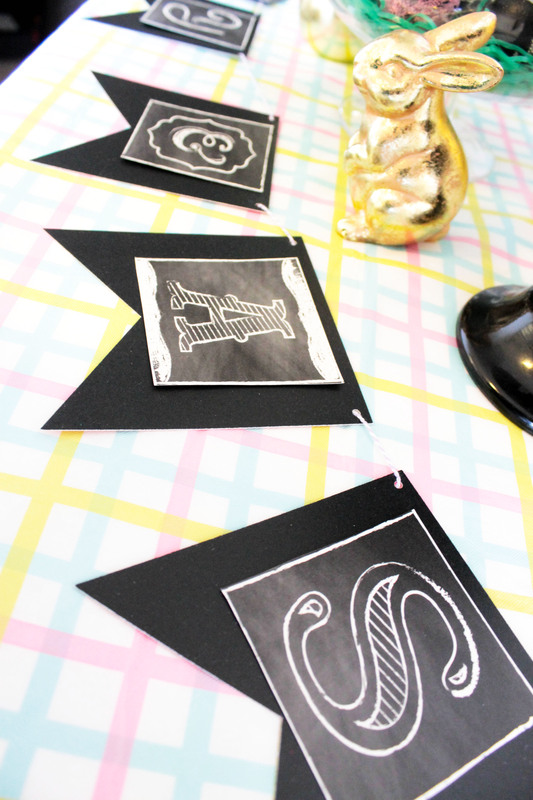 You can pick up a chalkboard paper stack from Jo-Ann too to make the banner and the wrappers! 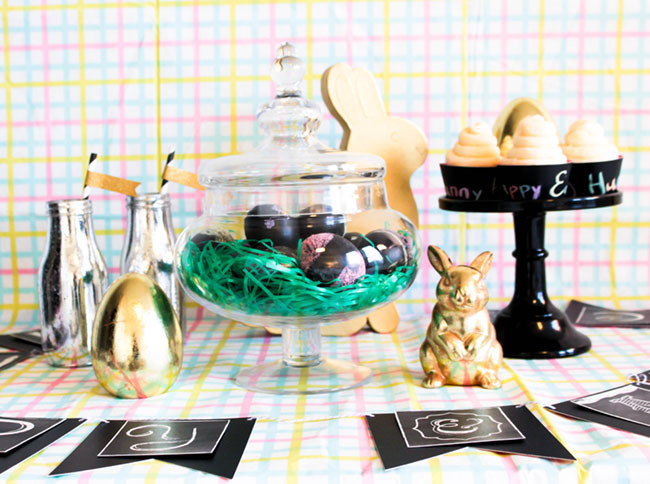 We are loving all of the cute invitation designs Evite has for Easter. Easter just got a little sweeter too because right now you can any premium Easter invitation for up to 15 guests by simply clicking This Link and enter promo code easterhop15 at your checkout by March 26th! 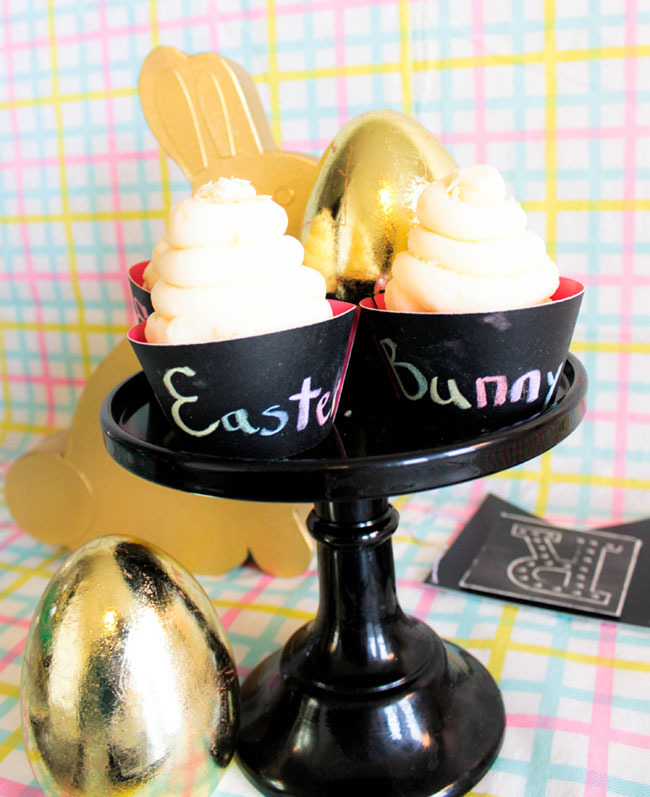 Thanks for stopping by- Head over to Made By A Princess for some more Easter ideas under $35! Watercolor Easter Eggs! 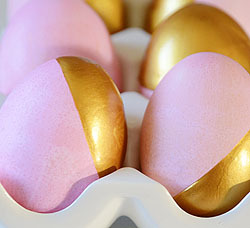 Lovely and Fabulous Easter Eggs Golden Eggs! Nothing Quite Says Easter Like Robin’s Eggs! We this idea! 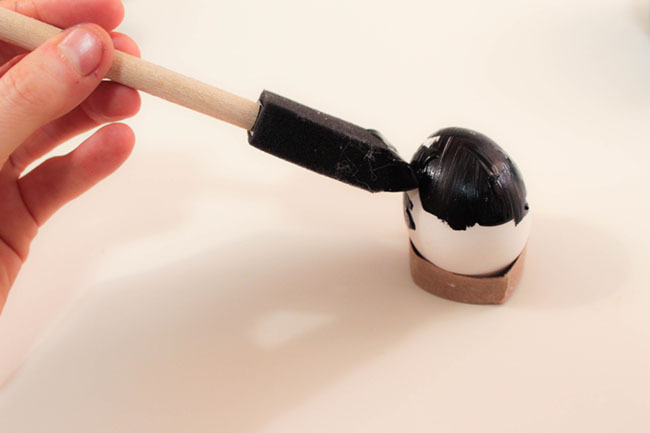 Such a great way to get creative during the Easter season! We this idea! 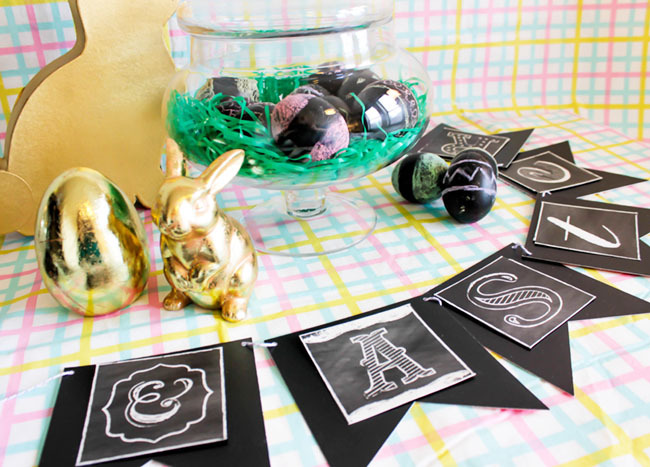 Such a fun and inexpensive way to get creative this Easter season! 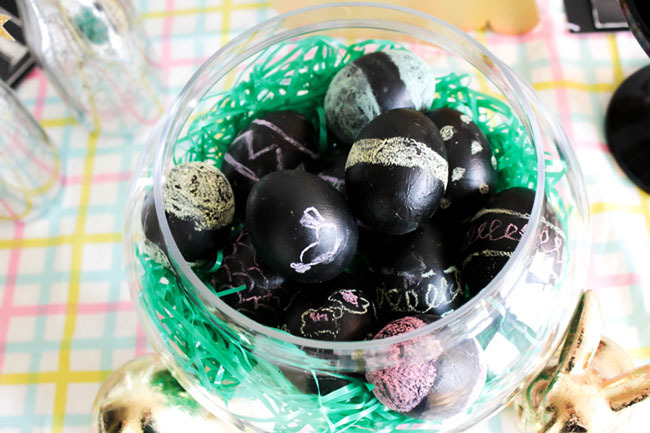 I love the idea of chalkboard eggs! I might have to try that out. Yeah Nikki! THey are so fun to do, plus you can re decorate them over and over again by just wiping off the chalk! How cute! These are so much fun! And I have the paint, score! That is a total score!!! Thanks! WE love this look this year! Oh my goodness, these are SO cute! I love it so much!